Talented painter Jim Hodkinson has just completed an intricate repaint of Marine Bird Dog N68VN. This very detailed skin is based on the authentic A Model L-19 - what the U.S. Marine Corps designated as the OE-1. The real N68VN was manfactured in 1952, serial number 22773. It is currently owned and flown by a retired U.S. Marine Corps Colonel. The bird is painted in his old squadron colors - Marine Observation Squadron Six (VMO-6). I just thought I should add that “Roughrider” prior to making this post, did ask me if he could post the link for this Marine Corp repaint that I did at his request, and of course I had no problem at all with him doing so. Take care, and have fun. i thought that you might want to see her in the flesh so to speak. Mr Hodkinson, you Sir, are a mind reader. Thank you, and Jim will do, I always look behind me for my Dad when anybody says Mr Hodkinson. It’s just that I am just so used to signing my full name on some forums, that it has become a habit. Thank you very much for this superb repaint of the wonderful O--1A model. I like to see on the left side of the fuselage, the fine stencils applied near the pilot position. These details improve greatly the realisitc looking of the repaint. Thank also tto Roughrider for the information about the repaint. You are more than welcome, and actually I should also thank “Roughrider”, as it was he who provided me with copies of the photographs he holds on this particular aircraft in order for me to complete his request for the repaint. As far as publishing the Marine Corp OE-1 repaint it would be an honour, so be my guest. 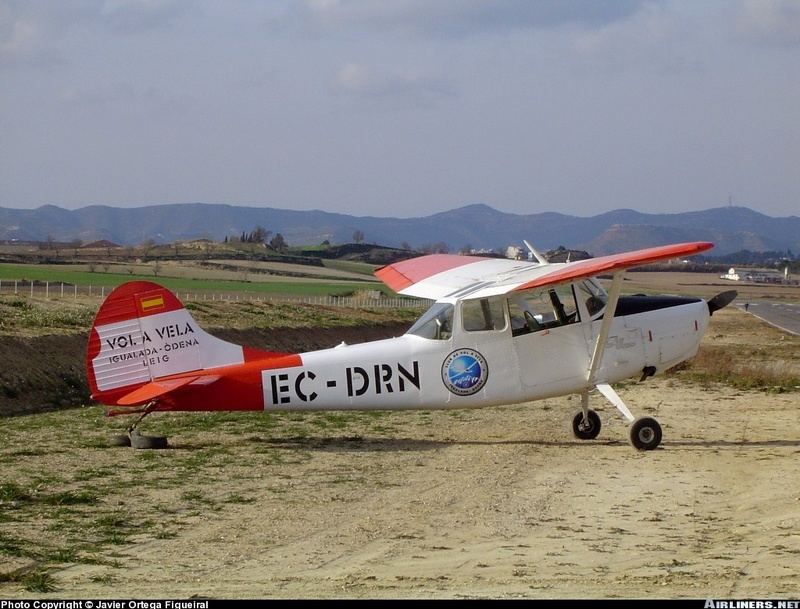 I must admit that as these are my first steps in repainting the Bird Dog, and I was looking for something to make for the next subject, as so much has already been covered by the talented guys that I have seen in my short time here, so I would not mind having a go at the Spanish variant, let me see what I can come up with. Back as soon as I have something for you. Just to let you know that I have not forgotten about this one, attached is the progress to date, now she still needs a little tweaking, I have had to hand draw the fuselage logo, so that is one of the areas that still need a little bit of work yet. I would have preferred to have got my hands on the flying clubs logo, but at present I had to use my hand painted version, so I hope that is OK with you folks. That being said, if any body would like any changes, additions or subtractions making to the colour scheme, then just let me know and I will try my best to assist. If anybody does happen to have a good copy of the flying clubs logo, or knows where I might get a hold of one, then please let me know and I could then update the colour scheme accordingly, thanks in advance.